Reliable dog urine cleaning products & odor removers are a necessity if you have a puppy in your home... because housebreaking accidents are going to happen! 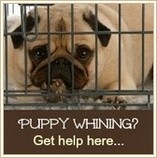 Housebreaking a puppy can take a little while, even when you do everything right. If you're very 'on the ball' and vigilant, you may only have a couple of puddles to deal with during that 'learning curve'. But even a few little puddles and poopy-piles can take a toll on your carpets and flooring. There are several urine and stain removal products that really stand out in the market, including some eco friendly options. Once you've picked the product/s you want, it's a good idea to know how to use them so that they will be have the maximum impact on those pet odors and stains! 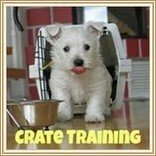 Check out my Dog Urine Cleaning Tips page for all the help you need to get that mess cleaned up quickly and completely. 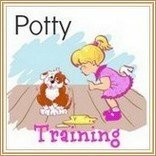 I'm a proud mom to several dogs, and I've raised many puppies over the years, so pretty much all of the pet stain and odor removers featured on this page have been 'tested' in our home at one time or another! They're the ones that I rely on to keep my home smelling fresh. 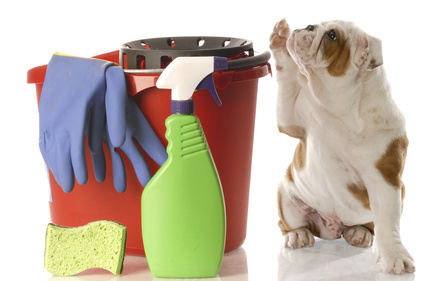 You may need to clean and deodorize a dog crate, carpets, hard flooring, furniture or a patio, deck or garage. Some products can tackle all of these situations, but others are specifically formulated for one task. From my favorite range of dog urine cleaning products, this oxygen-infused, bio-enzymatic formula deep cleans to eliminate organic stains and odors including urine, feces, vomit, food, blood, dirt and grass. Discourages the growth of bacteria and germs, removes pheromones to prevent re-soiling, works on both new and old (embedded) stains. Quick drying formula. This products' bio-enzymatic formula actually breaks down the uric acid salt crystals in dog urine and helps to PERMANENTLY remove urine odors and stains. Approved "as safe" by the Carpet & Rug Institute. Number 1 vet-recommended product. Safe around pets and people. This powerful, concentrated stool and urine deodorizer attaches directly to your garden hose and eliminates odors instantly. Safe around children and pets and can be used on Dog Runs, Grass, Plants, Shrubs, Kennels, Swing Sets, Tree Trunks, Patio and Fences. Doesn't just cover up smells.... it removes them entirely! Each 13 oz candle gives you a minimum of 70 hours of odor-fighting power. Offers maximum cleaning with minimum effort on your part! Hands free, deep down spot cleaning from SpotBot's unique Automatic Smart System. Can be used in manual mode if needed. Compact design for easy storage. This battery operated Ultraviolet Urine Detector uses 'black light' to reveal hidden urine spots that can't be seen by the human eye. Works on any surface including carpet, upholstery, concrete, tile, sheet rock, and more. The average life of the blacklight bulb is up to 5000 hours. If you like to use green products, there are some great all-natural alternatives to choose from. Unique natural odor eliminator made from food-grade enzymes. Goes to work immediately when applied directly to odor source. Can be used on carpet, upholstery, pet beds, clothing, hard floor surfaces, as an air freshener and more. Gentle and safe to use on carpets or wood floors in areas where pets, babies and small children play. Remove stains and odors from carpets, upholstery, mattresses and more without harsh chemicals or artificial scents. All natural ingredients, eco friendly and ozone friendly. Patented 'Encapsulation Technology' which permanently eliminates pet stains and odors.